Since 2009, DMEXCO (Digital Marketing Exposition and Conference) has been taking place in Cologne Germany, this year a handful of the G3D Hamburg team were lucky enough to attend the 2 day conference. 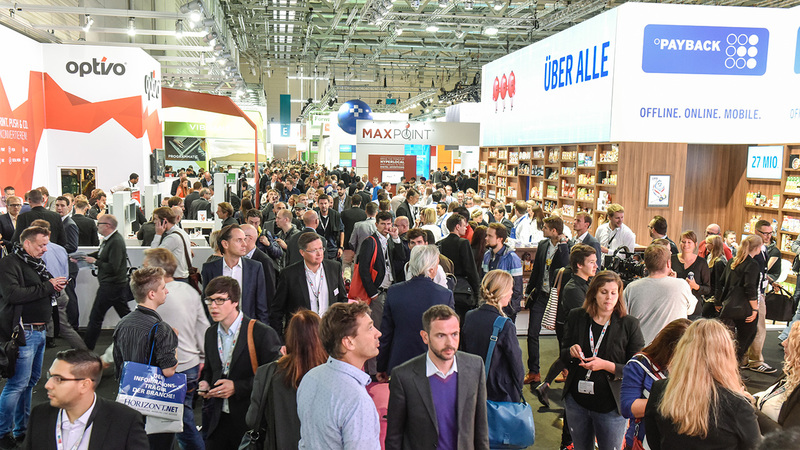 The conference traditionally attracts publishers, agencies, brands and tech vendors alike with attendees growing year on year, with 2018 being the biggest yet, making DMEXCO is the largest conference for the digital industry in Europe. This year DMEXCO reported that there were over one 1000 exhibitors, 41,000 attendees, and 550 international speakers meaning its imperative to ensure you are extremely organised and plan your schedule. This year’s stand out hot topics were voice search, AI and Blockchain. If you didn’t manage to attend this years event, we have summarised our top insights below. As in 2017, AI remains a highly talked about subject, however seems to be resting in the ‘corner of hot topics’ rather than being applied in work practice, yet. DMEXCO offered inspirational speeches like ‘Augmented Intelligence: Where Man and Machine Make Magic’ by Melanie Cook and others showing first used cases such as Alex Cheng, Vice President, Baidu; Chief Technology Officer, Baidu Search. at Baidu. “I would like to show how AI is being applied for social responsibility, for better user experience, for better action and also for curiosity to continue to explore and discover the unknown.”. Due to the progress of the Asian markets, it is a welcome look over the edge of the plate for the European markets. Similarly to AI, case studies were showcased from Jonathan Steuer, Chief Research Officer at Omnicom or Hendrik Hey (Welt der Wunder TV) to show how the blockchain is helping them to transform their business to the better. It however still seems, most advertisers, publishers and agencies are yet to make big progress in integrating blockchain into daily businesses, yet. The blockchain and its advantages are however more important than ever, considering the ever growing need for more transparency in the media buying process. Throughout the conference it became ever more apparent, that both advertisers and agencies desire access to data form publishing and technology companies, such as Google, in order to generate insights about the behaviour of voice search in order to understand the opportunity. Voice search is still up and coming in Europe but will increase when the digital assistants become more sophisticated for a seamless user experience. “The more that that relationship between voice and utility grows and becomes stronger, the less time people are going to spend looking at screens.” Marco Vertozzi - VP Sales Spotify Europe. Purna Virji, Senior Manager of Global Engagement at Microsoft introduced the 4Cs that are crucial when designing a chatbot/voice assistant as best practise: clarity, character, compassion & correction in her session: ‘Voice Search and Digital Assistants: Optimizing Customer Experience in the Age of Conversation’. Its fair to say we had two intense days trying to squeeze in as much information as possible, but as always with DMEXCO it did not disappoint!